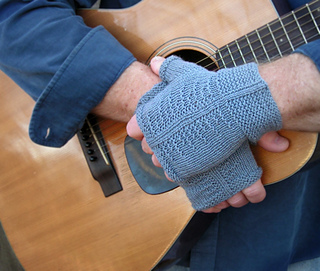 I designed these for my husband, who wanted a really snug fitting pair of mitts. 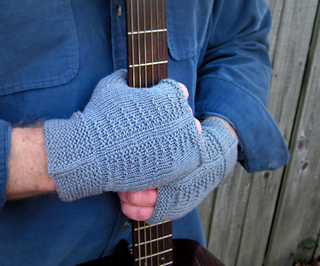 He can play his mandolin or guitar with these on and still have warm hands! 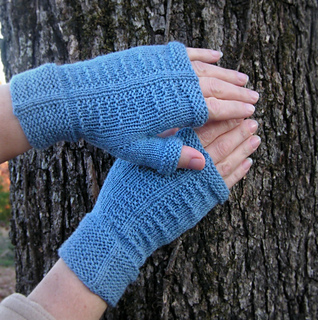 And once I got them finished, I liked them so much, I made a pair for myself in blue. 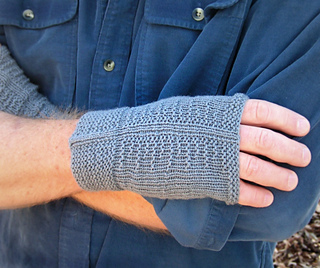 They’ve got a nice deep garter stitch cuff, which feels snug and comfy. 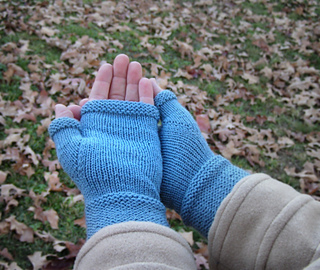 Worked from the cuff toward the fingers, they are knit with a textured knit/purl pattern that is quick and easy. 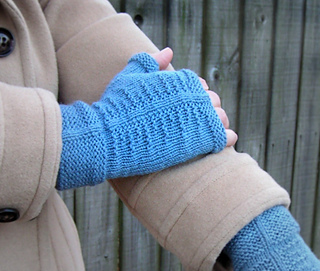 Easily customize the size --make them bigger or smaller, shorter or longer, a deep cuff or a small cuff…you choose!